Repair the Automatic (Caution) Doors - The Chip's Challenge Wiki - The Chip's Challenge Database that anyone can edit! To fix the doors, fill in the water in order, but don't step on the resulting dirt. 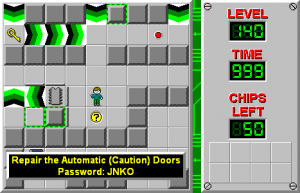 Repair the Automatic (Caution) Doors is the 140th level in Chip's Challenge Level Pack 4. It was created by Andrew Menzies. 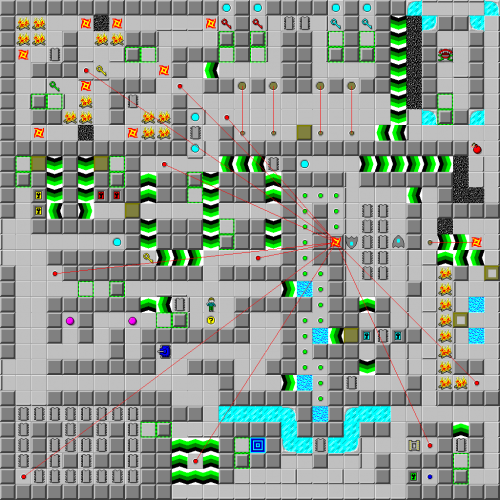 It is the sequel to Automatic (Caution) Doors from Chip's Challenge Level Pack 1, and also shares the same level slot. This page was last edited on 29 March 2019, at 09:15.